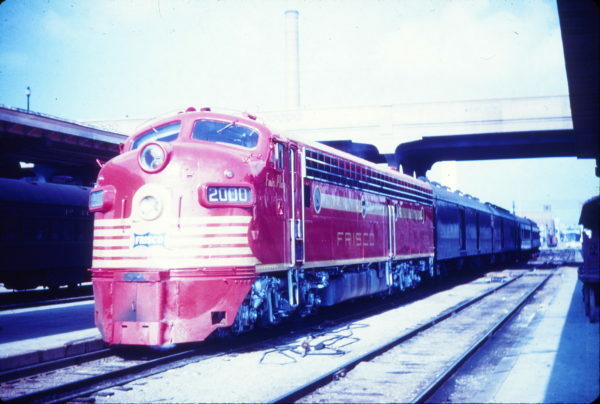 E7A 2000 (Fair Play) at Springfield, Missouri in July 1959 (Fred Byerly-Blackhawk Films). 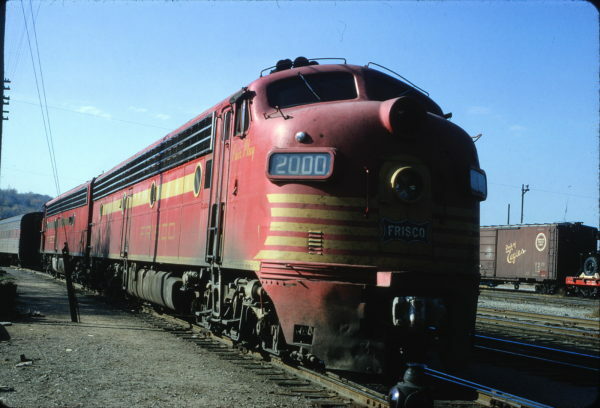 E7A 2002 (Comanche) at Springfield, Missouri on July 7, 1962 (Arthur B. Johnson). 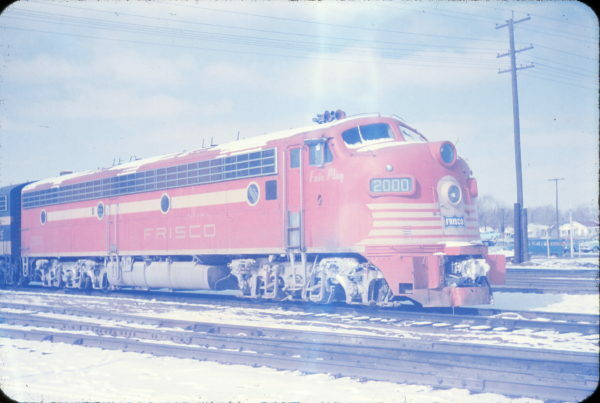 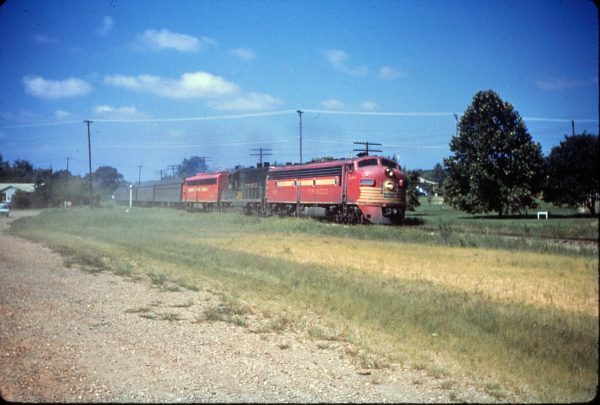 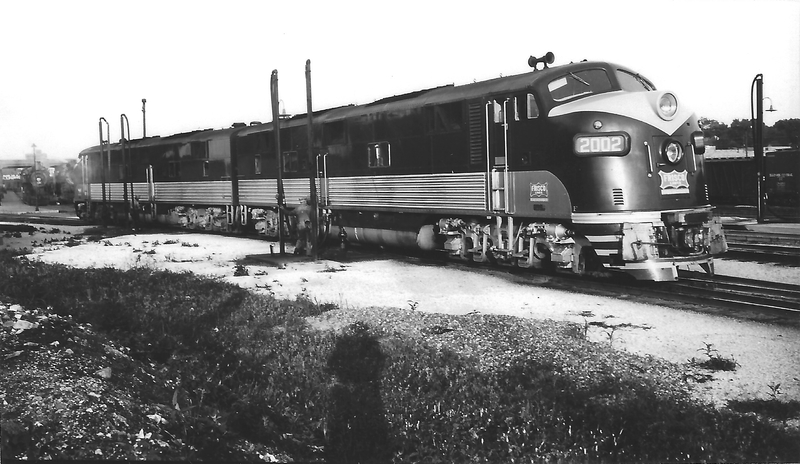 E7A 2000 (Fair Play) at Springfield, Missouri on February 3, 1961. 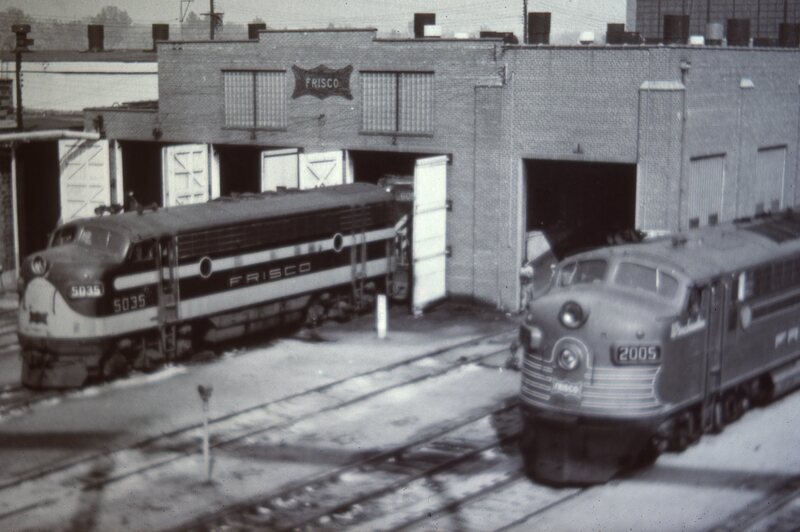 F7A 5035 and E7A 2004 (Dan Patch) at Lindenwood Yard, St. Louis, Missouri on August 7, 1952. 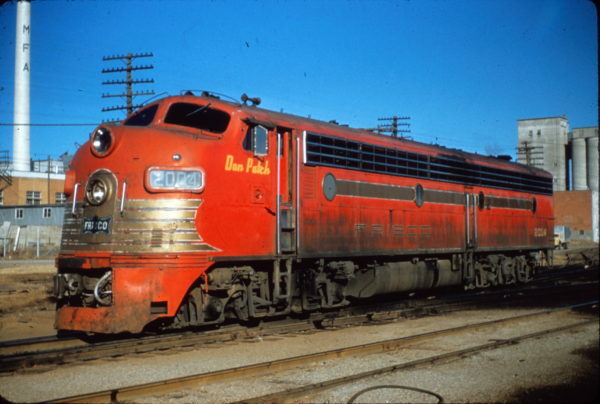 E7A 2004 (Dan Patch) at Springfield, Missouri on January 23, 1961 (S.R. 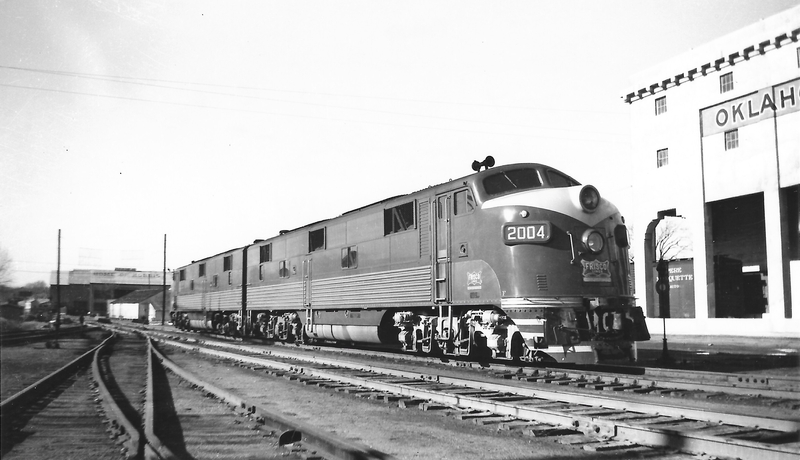 McCarthy). 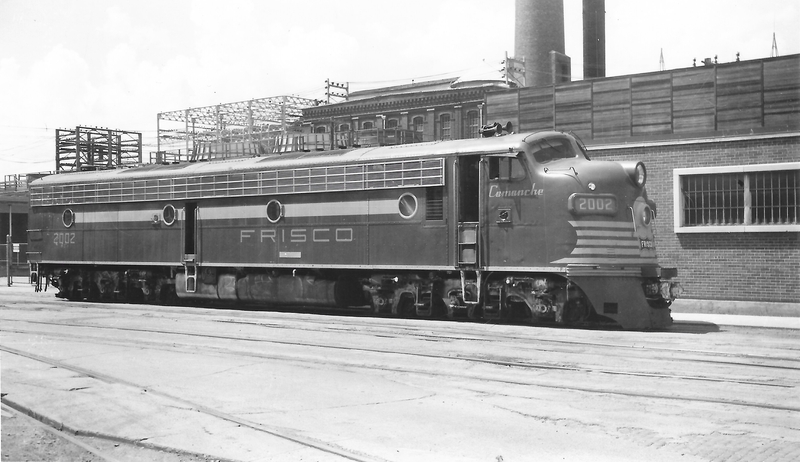 EA7 2002 at Tulsa, Oklahoma in May 1949.